WE'RE BACK Here's that you've been asking for! Were bringing you our closing event ONE NIGHT IN GUANGZHOU!! So mark the date on your calendars and join our extensive event. 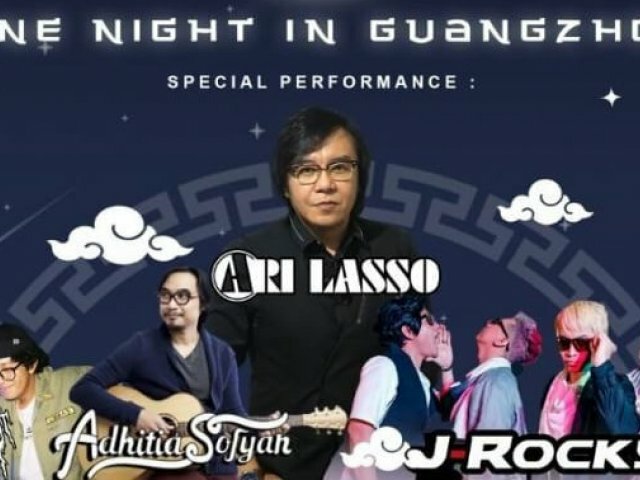 And here's our Guest Star line up ARI LASSO , J-ROCKS , ADHITYA SOFYAN AND CLUB DANGDUT RACUN.